The kiwi fruit is the main fruit of the Actinidia family. The kiwifruit is known worldwide for its delicious taste and awesome nutritional benefits. The other species in the Actinidia species is called the kiwi berry or the “mini-kiwi”. The kiwi berry has distinct advantages over the kiwi fruit. Thye kiwi berry is able to withstand very cold temperatures up to -30 degrees Celsius. The kiwi berry also has a short vegetation period. The fact that the kiwi berry can be grown in cold weather and it has a short growing time makes it an ideal fruit to be grown in the colder North European countries. The kiwi berry has been around since the middle of the 20th century. However, the kiwi berry was introduced to the United States in the 1980s. The kiwi berry is very aromatic with a sweet, intense flavor. The kiwiberry has been readily accepted because of its health benefits. Kiwiberry, similar to kiwifruit is one of the most nutritionally rich fruits in the world. The kiwiberry is considered to be one of nature’s perfect fruit because it is an excellent source of antioxidants. Kiwifruit and papaya fruit are referred to as “healthy fruit”. Unlike the kiwi fruit, the kiwiberry has an edible, grape-like skin. What Vitamins and Nutrients Are in the Kiwiberry Fruit? Kiwiberry is a good source of pectin. The kiwifruit and the kiwiberry has a similar amount of soluble sugar. The main sugars in the kiwiberry are glucose and fructose. Kiwiberry is exceptionally high in Vitamin C. The range of vitamin C in the kiwiberry ranges from 100-430 mg per 100 grams of kiwiberry. Normally, the Vitamin C content in fruit is unstable because of the oxidation process in the presence of oxygen. However, the kiwiberry and kiwifruit have a long shelf life and this fruit is able to maintain its Vitamin C levels. The kiwiberry contains a significant amount of B complex. Kiwifruit and kiwiberry have a significant amount of phenolics. Phenolics are very effective antioxidants. The kiwiberry is a powerhouse of minerals. However, the content of the kiwiberry depends on the conditions of the soil and weather. The kiwiberry is a good source of potassium, calcium, and magnesium. The kiwiberry is a significant source of micronutrients. 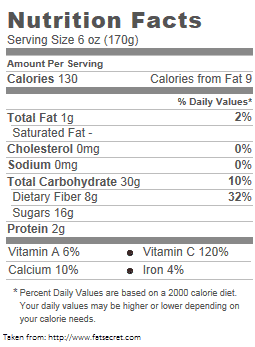 The amount of amino acids in the kiwiberry is 601-1220 mg per 100 grams. There are about 200 different amino acids in the kiwiberry. The fatty acid content of the fruit is in its seeds. There is a small number of fatty acids in the flesh of the kiwiberry. The defined fatty acids include 13.9–30.5% saturated fatty acids and 70.4–85.8% unsaturated fatty acids. There has been a plethora of research into the kiwiberry anti-inflammatory and antioxidant properties. These antioxidants have been proven to help protect against heart disease, cancer, and degenerative disorders. The antioxidants of the kiwi berry act as free scavengers in the body to reduce certain diseases. The kiwi berry performs better than the kiwi fruit in its antioxidant properties. Kiwi species have historically been used for the relief of nurmerous disorders. These disorders include digestive disorders, heartburn, arthritis, and hemorrhoids. Some Chinese herbalists have used kiwi for the treatment of cancer. The health benefits of the kiwiberry fruit are because the fruit contains so many nutrients, and they all interact synergistically. One of the best-known health benefits of the kiwiberry is the treatment of the gastrointestinal system. The extract of the kiwiberry is used to support the growth of good flora while destroying the bad flora. The kiwiberry has enzymes that help in the digestion of meat. One study concluded that kiwiberry lowered cholesterol levels. Other studies have shown kiwiberry helps in cancer and liver health. It is always important to check with your physician before starting any alternative health, especially if you are on prescription medications.